Neha Dhupia Gets Fat-Shamed, Celebs React! Actress Neha Dhupia got fat shamed recently and the reaction to the fat shaming article was not very pleasant from Neha’s end. 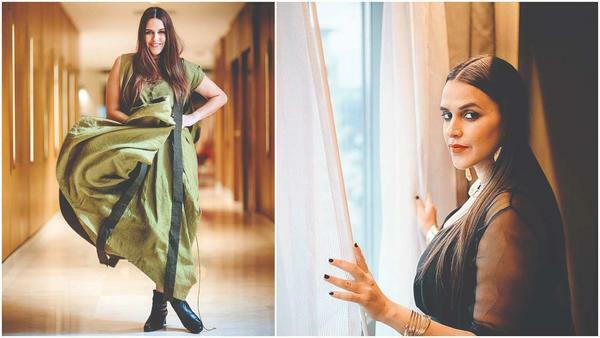 On Saturday, the former beauty queen and reality TV judge, tweeted a picture of a manual cover, with a photograph of herself and a caption reading: "Neha Dhupia shocking weight gain post pregnancy". Neha has never been one to take such things lightly and without any reversion. The 38-year-old actress took to her Twitter account and gave it back to the publication. After Neha’s tweet, many celebs like Karan Johar, Sonam Kapoor and more retweeted the post and highlighted the severity of fat-shaming in the society. Sonam said, "You are beautiful no matter what anyone says." Actor Taapsee Pannu tweeted, "Whatever shape and size, you make it look super stylish! @NehaDhupia." Director Onir said the publication and its writer "needs a basic class in learning the meaning of respect/dignity and priority". Well, we can witness how things are changing in India and we would hope for a better future. We are with you, Neha. Stay Away Paps, Say Neha Dhupia & Angad Bedi! It's a Baby Girl for Neha and Angad! Confirming All Rumours, Neha and Angad Announce Pregnancy! Will Soorma be the Big Break for Angad Bedi? Neha Dhupia is Now Mrs. Bedi! Learn Pole Dance With Neha!